I have been thinking about all the things that I could do with my little ones to let them experience that Ramadan is unlike other months. Creating joy in Ramadan with kids is not just one little thing that you can do… it has to be a bunch of little things that we do together. We all remember our childhood with beautiful memories of how we spent the Ramadan as children. Everyone I have asked so far, talk about how beautiful it felt to be sitting down with all their family members. It was always fun to break the fast with siblings and parents but those of us who have been lucky to have spent our growing years surrounded by cousins and grandparents, we know how much fun that was too. That was what the real joy was. I learnt to cut fruits from my father. Even now, whenever I cut a melon, his words echo back at me guiding me as I cut out the long slices. My siblings learnt it from my father too. Iftar time in my family had always been about the joy in contributing. We are all grown up now and we have our spouse and kids join us. Even now, when we meet in Ramadan, everybody joins in to set the table. We all share our recipes or sometimes make them ourselves when we are there. It is a colourful happy table at Iftar time. The joy in Ramadan is the family time that we enjoy. It is about the traditions that we share and get passed on. The amazing thing about being a parent (that I enjoy the most!) is that you can make some new traditions for your family too. How about reading the Quran together with your children after Duhr prayer, for example? Or letting the children serve the dates at iftaar time to everyone. These fun activities make kids feel so valued. It quenches their attention and power need too. That means less tantrums in toddlers! 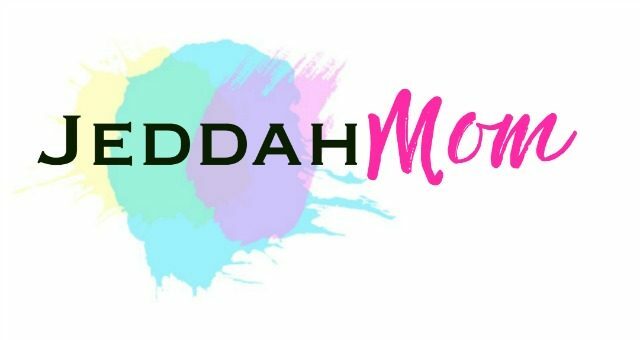 I am talking about all the ways you can help your children enjoy Ramadan this year. 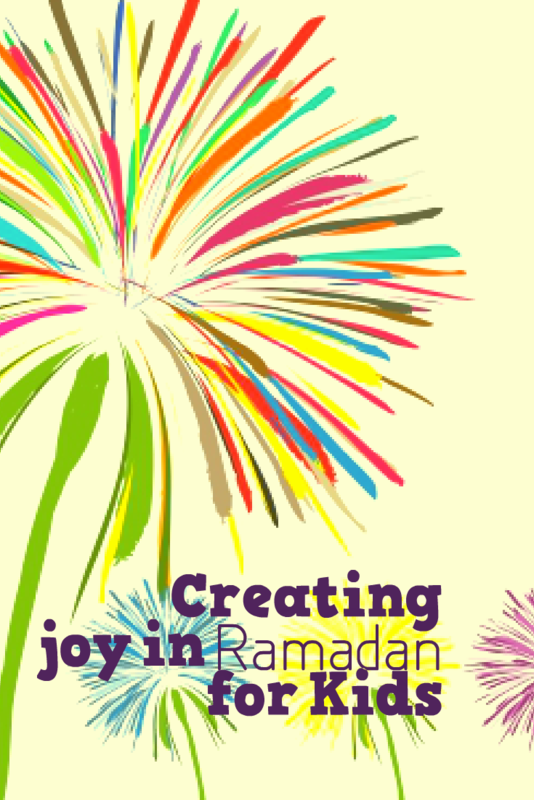 Here is all the ways to creating joy with kids this Ramadan. Plan their routine and get them accustomed to your time. The first thing I have done this year is to prepare my tots for the change in our routine. Ramadan means longer nights and lazy mornings. Kids who are used to waking up early feel out of sync and anxious when this happens. For this reason, last year I found that a simple tweak to their routine really makes huge difference. Get them excited with a calendar. Little children don’t understand what Ramadan is. Older toddlers can be involved with this fun calendar that we made recently. We have been using it to count down to the month and will be using it to remember the date and when Eid is. Plan activities and crafts. One of the best ways to get children into the spirit of Ramadan is to have activities that are around that theme. You will be needing activities to keep them busy as you cook or fast. I talk about why you need activities and why they are life savers in this post about planning kids activities everyday. For Ramadan, you can make a list of fun crafts to do, games to play and print out some printable so you get the time when you will need them to be busy and out of your way. Read this Summer Survival guide for all the amazing activities that you can do. Related: More Printable Crafts and Activities in this post. • Arrange dates in a plate or pit them if they can. • Bring dishes, glasses, cutlery or a jug of water. • Make a simple refreshing juice like Rooh Afza or a berry cordial or lemonade. Or Tang. These are simple things that all kids can do. • Cut and pit fruits if they are old enough to use knife. If they are smaller they can remove the stem from grapes. Kids love pomegranates too! • Fold samosas or spring rolls or puffs. My kids love that! • Make a simple fruit salad. • Make jello or simple ready mix desserts. • Mix a pancake or crepe batter from scratch or a cake mix. • Spreading toppings on a pizza or if they are old enough make the dough from scratch! Related: Age Appropriate chores for Kids in Ramadan and this fun Kids in the Kitchen Ramadan Series. Show them how they can feel the spirit of Ramadan through prayer and books. Assign a time for Quran and learning. Growing children who have good manners and morals is more about being a good example to them ourselves than what we can teach. We are doing a A-Z of Akhlaaq series this year to teach kids manners through play craft and activities. Try this Alhamdulillah For Series too. It is a good way to make memories this Ramadan. RAMADAN 2018 Sign up here if you want to do the A-Z of Akhlaaq series this year. Let them play and imagine. Always include an hour or two of free play for them. While structured play is good, getting them from one planned activity to another will be boring for your kids. It will stress them out too. Let them enjoy their toys when you can. Here is a fun post about finger puppets that we love making. You can give them playdough and other sensory activities too. I created this fun Rooh Afza Playdough for Ramadan this year. We also have this fun Edible Playdough with Oats for little toddlers. The month of parties and picnics and inviting friends and sharing food. Ramadan usually means the time when you will be having more food on your table and more reasons to throw parties or send to your neighbours. Involve your children in this. Ask them for their advice in making menus or who they want to invite. Invite their friends too. You can also take your Iftar outside to have picnics. Most of us enjoy doing that. It is a wonderful way to relax. We love our Iftar at the beach! Cards that express who they are. Make some fun greeting cards. It doesn’t matter how little they are because you can send greetings from your baby too. Check out this fun post with so many ideas to make greeting cards with toddlers that we wrote recently. You can also check more ideas in this Eid cards list from last year. There are some free coloring sheets in our Free coloring bundle that kids can use as cards too. Anticipation of Eid… gifts… eidi: what are you giving for Eid? Tell them about your childhood, your Eidi and what you spent it on. We loved hearing about my parents Eid when they were kids and my kids love my stories. Whatever you are gifting make sure they are surprised well. I love teasing my kids about it. You can teach them about gratitude and sharing by teaching them about Fitra. This is the best time of the year to give away those old toys too. If you can buy some toys and clothes to give away then do this by all means because this is the best example we can set for our children. Even you can’t buy new, you can help your child wrap up old toys that your kid has outgrown. Renew them and fix broken parts too. You can collect these and give away to local organizations that take old toys. We must all educate our children from when they are still very small that having more than they need is ‘israaf’ or wastage. Teach them to not waste and not greed too. We like to give away one toy for each new toy that they get. This helps keep the clutter at bay. Family time. Remember the best way to create joy in Ramadan is that family time. Learn as a family, play as a family and eat as a family. Turn off the Internet as much as you can. I know that in the beginning all that time with kids is really unnerving with them going ‘mommy-mommy’ all the time but really, they do leave you alone when they realize there isn’t anything for them to compete against. Mommy is there. All theirs! Did you know that the more you try to disconnect from them by picking up your phone the more they will want to compete? No. Seriously, try it. That is all folks… that is my plan for creating joy this Ramadan. This is what I am doing. Come on and tell me how your Ramadan is going. Have a blessed Ramadan and May the Almighty accept all our prayers and fasts. Remember us in your prayers too.